With Eureka Air, the NO LIMIT CARBON ENGINEERING of Guerciotti has made for sure one of its best products in the history. Thanks to the RS design, the best design was studied to get an extremely aerodynamic product. To reach the highest levels of aerodynamics, not only it has been worked on the shape design and tubing profiles, but a complete integrated cable solution has been studied. This was possible thanks to the cooperation with TEC (new Guerciotti partner for stem, bar and seat post), making a custom stem and handlebar where the wires are all internal (Integral Cable System). The stem is forged and worked in CNC 7075 alluminium, while the handlebar is made in carbon monocoque (Toray T700 and T900) which allows the complete internal cable system. 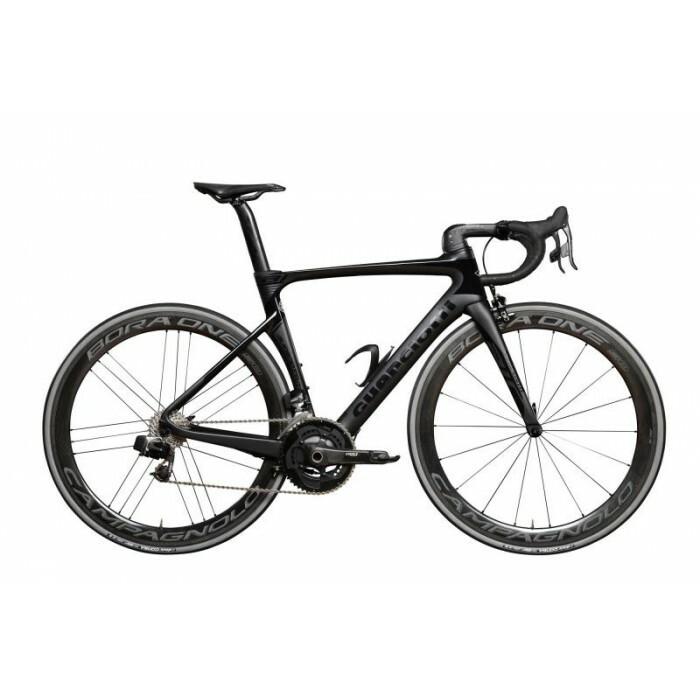 Eureka Air will be surely one of the market’s landmarks for anyone who will want an aerodynamic bike with high-end design and performance.